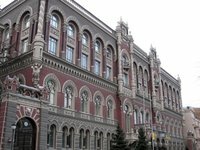 The National Bank of Ukraine (NBU) from 2018 introduces an annual assessment of the stability of banks. According to the National Bank's website, the relevant regulation on implementing the assessment of the stability of the banks and the banking system of Ukraine was approved by NBU decree No. 141 of December 22, 2017. As stated in the report, the assessment will be carried out annually as of January 1 and will consist of three stages. The first is the checks by audit firms included in the register of audit companies of the quality of the bank's assets and the acceptability of collateral for credit operations. The second one is the extrapolation of the results of the first stage and the assessment of the bank's capital adequacy as of the valuation date. The third one is the NBU's assessment of the bank's capital adequacy based on the results of stress testing for basic and unfavorable macroeconomic scenarios on the three-year horizon of forecasting. All solvent banks will undergo the first and second stages of evaluation. The list of banks for the third stage will be determined by the NBU. It will be compiled taking into account the influence of each bank on the stability of the banking system.